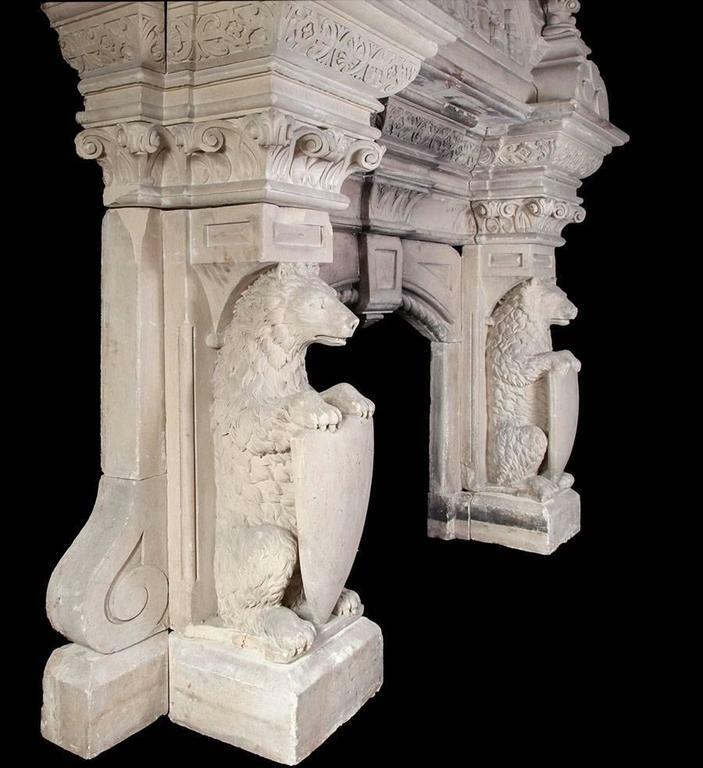 Each jamb of the fireplace has a brown bear standing on a plinth holding a heraldic shield. 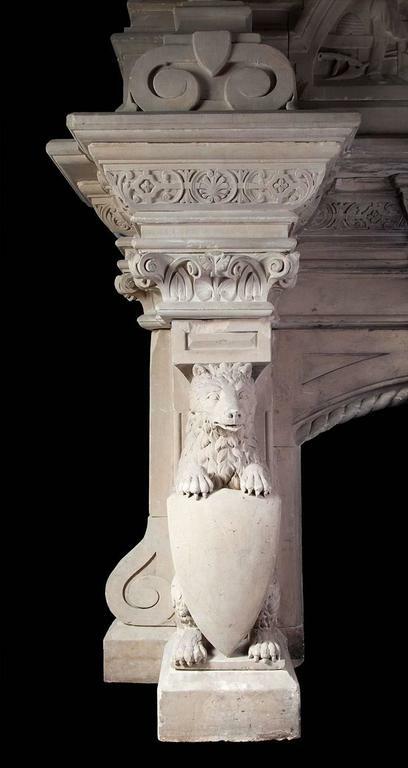 Above the bears are carved capitals supporting a substantial breakfront cornice shelf. 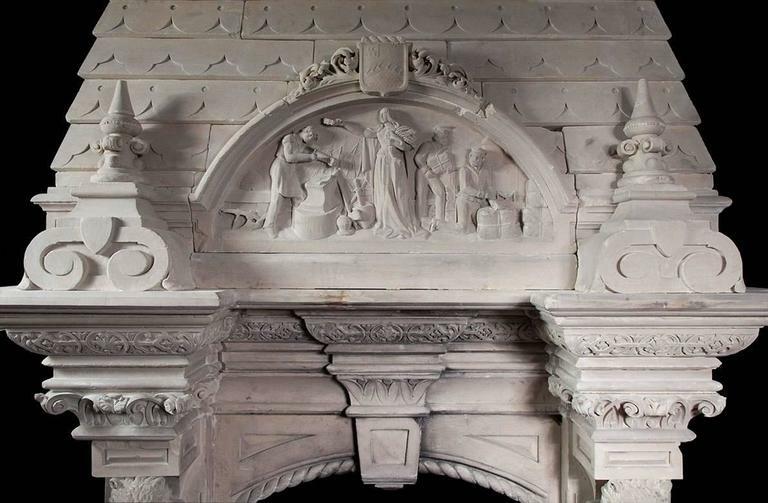 The over-mantle section of the fireplace has two large finials centred by a highly detailed scene. 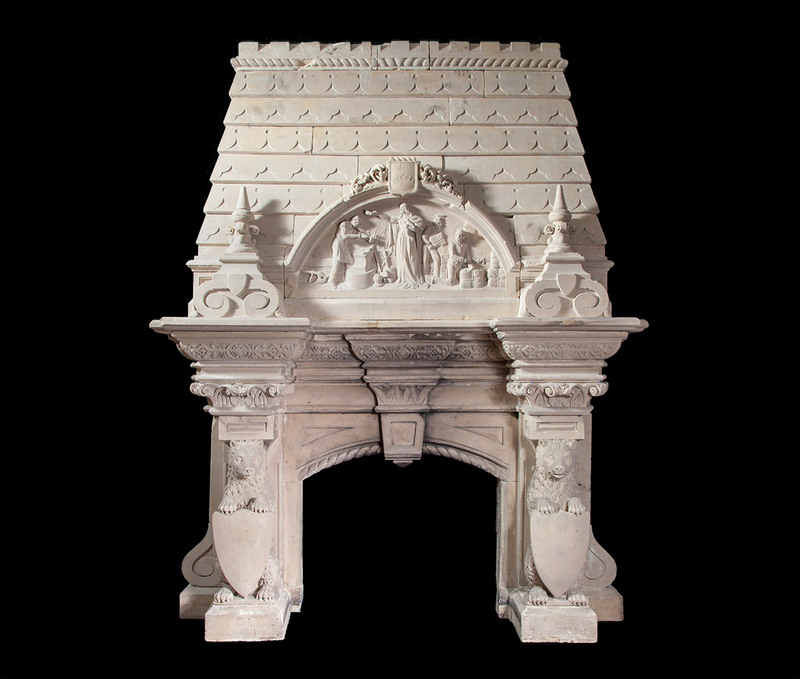 The over-mantel roofing pattern consists of alternating rows of bull-nose and club tiles, with a robe twist and castellated top. 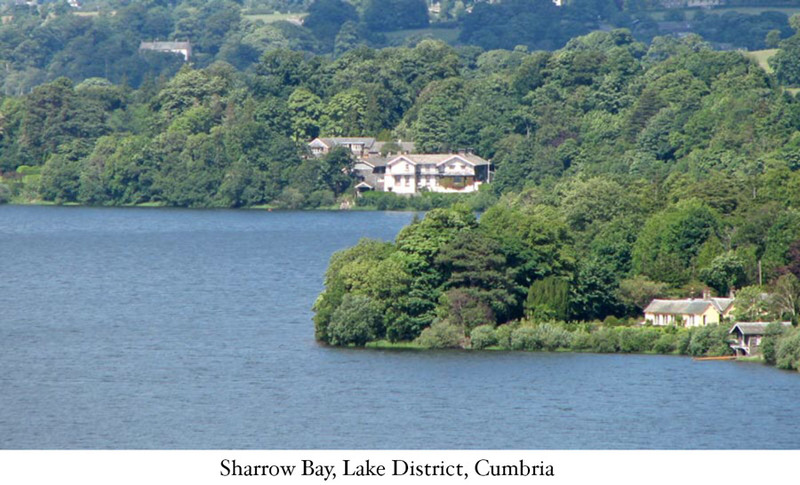 Provenance: Sharrow Bay, Ullswater, Lake District, Cumbria. 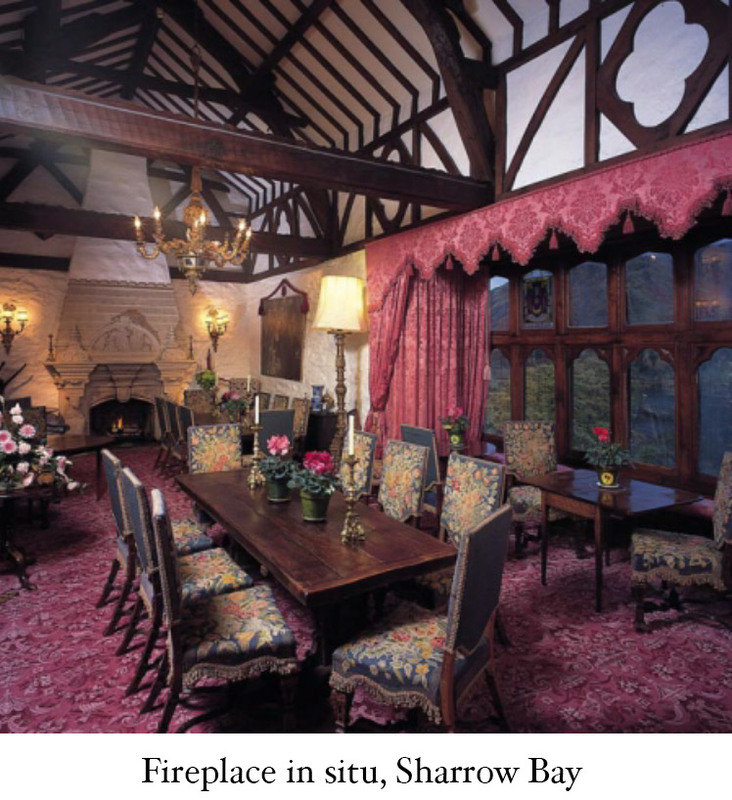 Sharrow Bay is a country mansion originally build as a hunting lodge dating back to 1840. 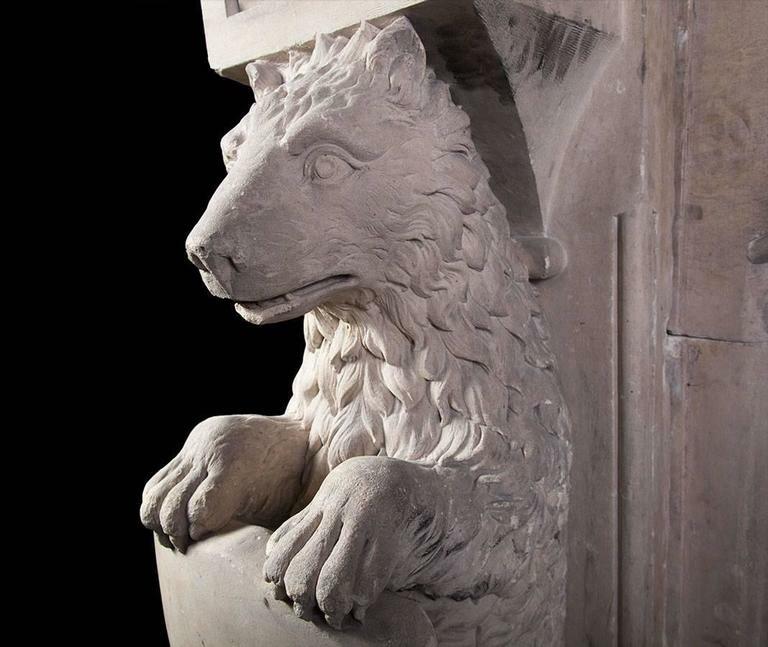 It is located on the North Lakes on the shores of Ullswater and is surrounded by fells and mountains with the most stunning views. 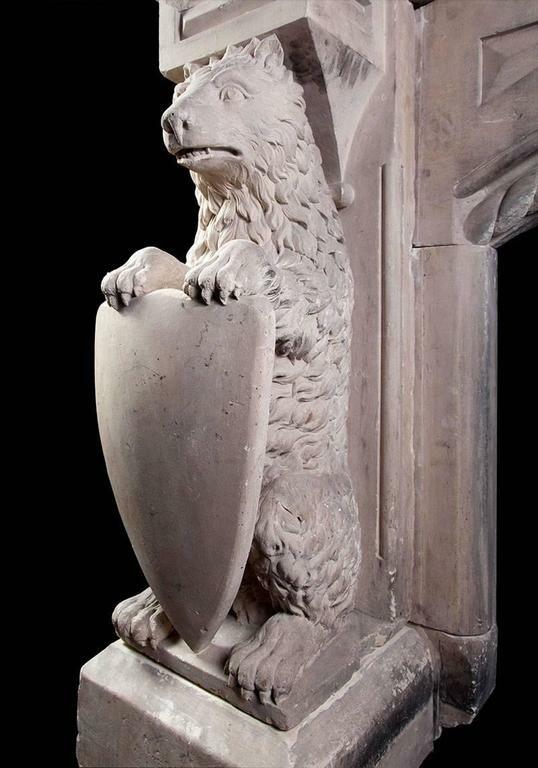 It was advertised for sale in the Manchester Guardian in 1948 as ‘a mansion on the edge of Ullswater with 12 acres of grounds and formal gardens. 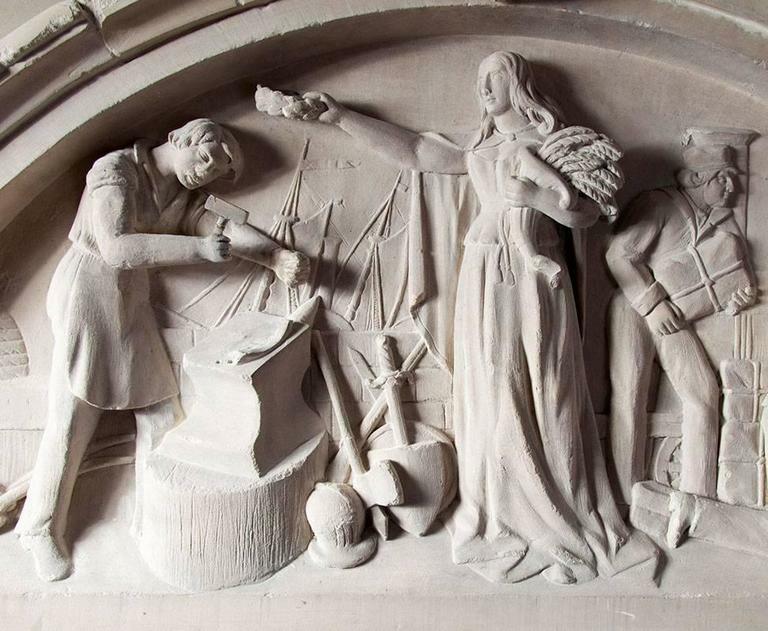 Francis Coulson bought and opened it, coining the phrase ‘country house hotel’ to describe it. 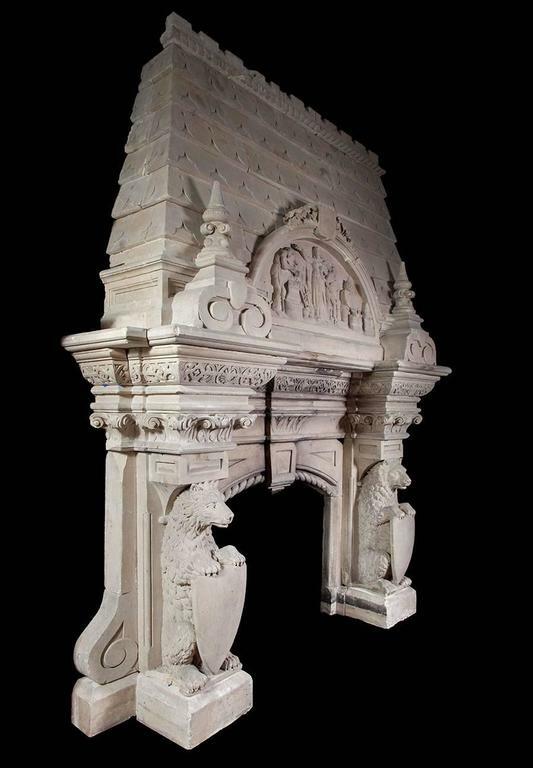 Photographed in its original untouched condition, can be restored to preferred finish.